ENDS WITH 2.0 AND BEGINS WITH KABALI! Superstar Rajinikanth has begun shooting for Shankar's monumental project 2.0 (Enthiran 2). The first schedule of 2.0 which kick-started last Thursday (17th December) is expected to be wrapped up in a few days. 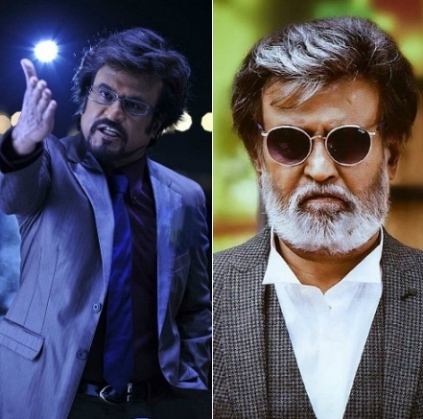 Rajinikanth is likely to join the sets of Kabali once again by the first week of January 2016. Looks like Superstar ends the year with 2.0 and then begins the new year with Kabali. Reports suggest that close to a month of shoot is still left and the post production work will begin by February. The audio launch date will supposedly be announced once the shoot is completed. The makers are apparently confident of releasing the film in April 2016. People looking for online information on 20, Enthiran 2, Kabali, Rajinikanth, Superstar will find this news story useful.